After adding a few slices of lemon, I will squeeze the rind end to add some extra juices. Then put the lid on the jar tightly and leave it for a few days to ferment. 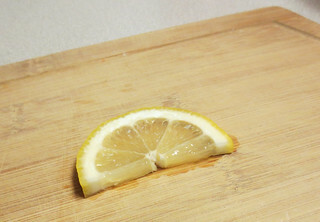 Then remove the lemon pieces and refrigerate. 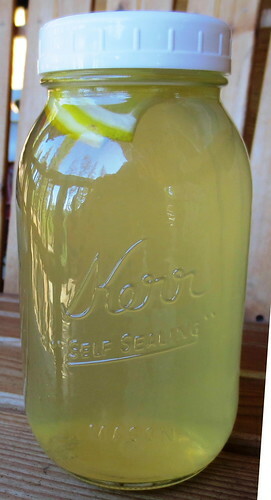 Kefir water is very useful and is a wonderful natural probiotic. 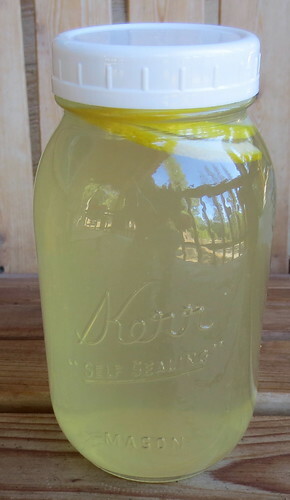 Plus I just love the taste of lemon kefir water.